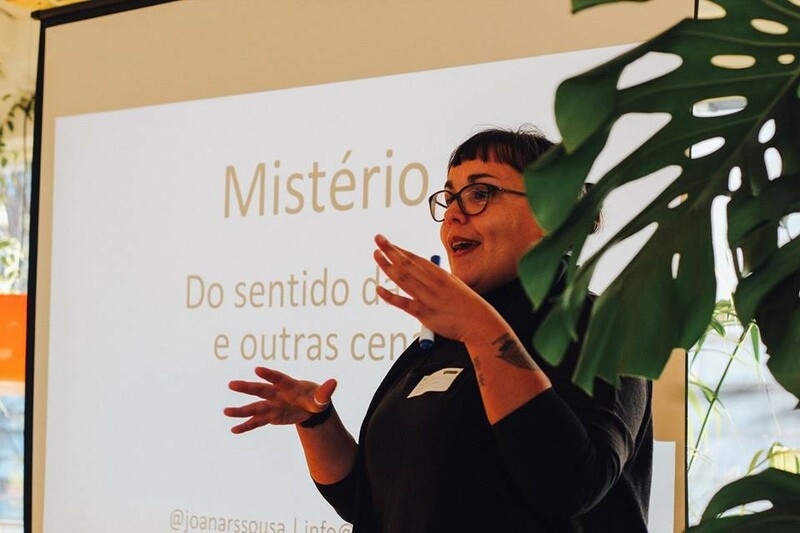 "A relevância da Filosofia para Crianças, num mundo contemporâneo onde tudo parece questionável, é o ponto de partida desta conferência. O seu objectivo é colocar em debate várias temáticas e posições acerca do desbravar do questionamento filosófico por parte das crianças e jovens. A especificidade da Filosofia, articulada com a pergunta filosófica e o desenvolvimento cognitivo, ético e social da criança, são as preocupações que guiam a organização deste encontro." Gilbert Burgh: "philosophy is vital to effective citizenship education or what I call democratic education"
Laura D'Olimpio talked to me about Professor Gilbert Burgh and his work related to philosophy for children (p4c). I wanted to know a little more about it, so I asked some questions - asking questions is always my favorite part @ p4c. Dr. Gilbert Burgh is Senior Lecturer - School of Historical and Philosophical Inquiry - The University of Queensland (Australia). In 1989, I graduated from the University of Queensland with a double major in Philosophy and I was writing a co-authored paper for a student journal on making philosophy accessible to everyone. I had an interest in ideas of philosophy as a subject in schools, but was not aware that Philosophy for Children existed. The Head of the Philosophy Department, Graham Priest, informed me that Lyn English, a professor of Mathematics in the Centre for Mathematics and Science Education at the Queensland University of Technology, had attended a residential teacher training workshop in Lorne, Victoria, on Philosophy for Children. How did you start working with p4c? I contacted Lyn and she invited me to attend the regular meetings she organised. In 1991, I enrolled as an honours student in Philosophy at the University of Queensland and was offered a contract teaching position as a tutor in the Division of Education at Griffith University. I attended a Two-day program in Philosophy for Children, conducted by Laurance Splitter and Clive Lindop, held at the Centre for Mathematics and Science Education on 21–22 Jan 1991. In 1992, I received a three-year Australian Postgraduate Research Award to enroll in PhD study in Philosophy. I was invited by Laurance to attend a Philosophy for Children Teacher Education program in Geelong, Victoria, organised by the Centre of Philosophy for Children at the Australian Council for Educational Research/Federation of Australasian Philosophy for Children Associations, held on 1–9 Feb 1992. Ann Margaret Sharp from the Institute for the Advancement for Philosophy for Children (IAPC) at Montclair State University in New Jersey and Ron Reed from Texas were teacher trainers. Ann offered me a fellowship to participate in an International Training Workshop, held at Mendham in New Jersey, 8–18 Jan 1993. By 1994 I became the inaugural president of the Queensland Philosophy for Children Association, and we began to conduct regular teacher training. What is known as Philosophy for Children (P4C) started as the curriculum developed at the IAPC, which was implemented in the classroom using the community of inquiry method of teaching developed by Matthew Lipman and Ann Sharp, based on the ideas of John Dewey, Charles Peirce, George Herbert Mead and Lev Vygotsky. It has, around the world, developed in diverse directions, known by other names such as philosophy with children, philosophy in schools, philosophical inquiry in the classroom and collaborative philosophical inquiry. Many countries have chosen to not use the IAPC curriculum materials, but have adapted or developed their own materials or used existing children’s stories, picture book or other stimulus material. What these theorists and practitioners have in common is the use of the community of inquiry as the method for engaging in philosophical inquiry with students. In this sense, students collaboratively engage in inquiry that explores questions that come from their own puzzlement about the world to follow their arguments where they lead in purposeful critical and creative discourse and reflection that can lead to self-correction, to construct personal meaning and confirm mutual understanding. Engaging in such inquiry allows children to question what would otherwise not be seen as contestable concepts, which provide the foundations and knowledge underpinning the disciplines that inform other school subjects mandated in the curriculum. This develops inquisitive minds, which is necessary for children’s development as active and informed citizens. I’ve indirectly addressed this question in response to your previous question. However, I would like to add that philosophy is vital to effective citizenship education or what I call democratic education. Democratic education refers to the view that schools should embody deliberative and decision-making structures in classroom dialogue, as well as provide opportunities for experimenting with students’ political judgments coming out of student dialogue, to facilitate and foster meaningful participation to other aspects of social life by all members of the school community. By contrast, what I call education for democracy has as its primary goal the achievement of an educated citizenry competent to participate in democratic societies. I argue that education for democracy tends to serve political leaders who have a vested interest in maintaining the current economic and political structures to provide a means for enabling individuals, organisations, and nations to meet the challenges of an increasingly competitive world to the neglect of involving people in a continuing process of education aimed as self-actualisation and a learning society. Philosophy as collaborative inquiry emphasises the primacy of deliberative democracy (i.e., the development of deliberative and communicative relationships) and focusses on the radical conception of citizenship as a learning process (i.e., citizenship is experienced as a practice that connects individuals to their society, sustained through social reconstruction). Philosophical questions are open to examination and lead to further questioning and inquiry. They question the very meaning of meaning itself, or taken for granted concepts such as truth, reality, knowledge, value, beauty, justice and so forth that underpin our cultural practices, laws, political systems, religious beliefs and moral judgments. The biggest challenge is to get philosophy on the National Curriculum either as a separate subject or as a cross curriculum priority that integrates the core subjects included in the curriculum. There have been attempts in Australia to develop a philosophy curriculum and to include philosophy in the National Curriculum, but these have not been successful. Another challenge is to include philosophy as a core component of preservice teacher education programs in Faculties of Education in universities to ensure that all teachers have a grounding in philosophy as a teaching method. Don’t answer questions, but keep the discussion open. Both children and adults – including the teacher - need to maintain an attitude of fallibilism about their worldview; to acknowledge that their beliefs can be mistaken and to explore disagreement arising from differences in beliefs. To this end, teachers need to be facilitators of classroom dialogue as well as co-inquirers with students. As co-inquirers teachers need to draw on their expertise as members of the teaching profession with interests in subject areas. Students come to understand that teachers have subject knowledge, but teachers need to be aware of their own limitations brought about by the contested nature of the knowledge in the discipline that informs their subject expertise, and they must also convey or model this limitation in their role as co-inquirer. In this sense, teachers need to assume the position of what is often referred to as ‘scholarly ignorance’, but they should be careful not to feign ignorance, lest students become sceptical and suspect that such ignorance is not genuine. As co-inquirers, teachers need to assume a position of genuine doubt to prompt students into their own states of genuine doubt, which ideally leads to collective doubt and collaborative inquiry. Did the children ever surprise you with a question? Can you share that question with us? I’m never surprised by children’s questions. I’ve learnt over the years that children who share a sense of curiosity or wonder are inclined to ask questions that seem so natural to them. Many adults, on the other hand, fail to ask such questions, or lack enthusiasm for exploring ideas prompted by children’s questions. What these adults fail to recognise is the role of imagination in the critical and creative exploration of ideas that such questions can prompt. This is vital for the reconstruction of knowledge and cultural practices when dealing with social and political issues in a democratic society.